The Book Garden: Funny photos? Photo fun(ia). Downtime between meetings? Slight case of boredom? Or maybe in actual need of, say, a profile pic for a social media site of your choice? I think I have just the thing you need then. 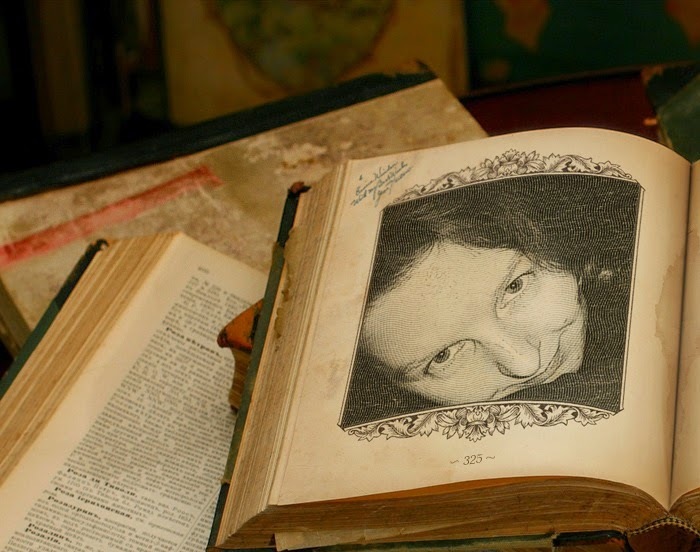 Here's one of my favorite selfies from way back when ... if you ask me, the combination "me + old book" totally rocks! Were you already familiar with PhotoFunia? Which of the many effects would you choose for a profile picture or just to generally play around with? Awww ... thank you! It's one of my favorite "me"-pictures too.